While we may feel that Nagaland is isolated and not affected by global economic upheavels, the fact that Nagaland receives most of its funds from the central government ties us together with the rest of the world much more than we may realize. The current value of the rupee 62.49 to a dollar (as of 1st Oct) can result in rise in prices of essential commodities like petrol and diesel and even food items. 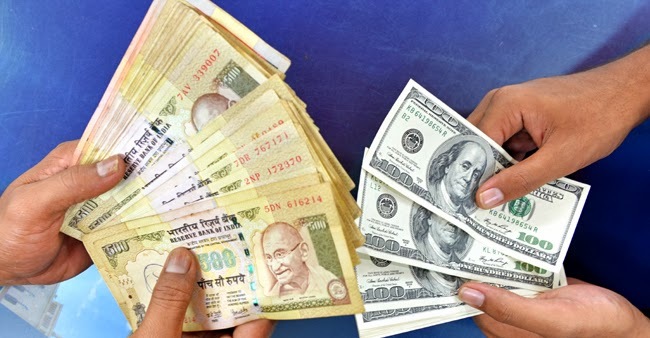 A closer look at the connection between the value of the rupee and the dollar is presented here in this week’s column. Recently, India’s economy sharply collapsed against the mighty Dollar due to depreciation of Rupee hitting an all-time low and a high current deficit. Infact, India’s economic confidence dropped by massive points to 53% in the month of August comparing to the month of July 2013. What could be the reason behind India’s massive loss and struggle against “dollar”? It may be known to one and all that the worth of crude oil has been a major bane for India, but all over the world oil is sold in dollars, which implies that when the demand for oil increases in India or increases in oil in the global market, there arises a need for more dollars to pay its suppliers and as a result the worth of the INR decreases significantly in comparison to the USD. Now as per the rudimentary laws of economic, if the decrease of dollar in India exceeds its supply then its worth will go up and the INR will fall down. Thus, this may or will alert the Foreign Institutional Investors (FIIs) to promptly withdraw their investments in the country and take it elsewhere. This withdrawal and rise of the “worth” value of USD creates an economic debacle for India making it the major reason behind the depreciation of the INR. The equity markets in India have been volatile for a certain period of time. This has put the FIIs in a dilemma as to whether they should be investing in India or not. In recent times, their investments have touched an unprecedented level and so if they pull out then the inflow will go down as well. As per a report in Business Today, the international investors in India have withdrawn to the tune of INR 44,162 crore during June 2013 and this is a record amount. This has also created a current account deficit (CAD) that is only increasing, thus contributing significantly to the depreciation of the INR. One of the main reasons behind the Indian government’s inability to arrest the fall of the national currency is the critical current account deficit. In the 2012-13 fiscal, India’s CAD was measured at 4.8 per cent of the GDP. The government has been unable to come up with any new destinations for exporting its products and this has also hampered the growth in this sector. There are other crucial reasons here like the lack of one window for clearance purposes and procedural delays. Even areas where India has traditionally done well on this front have fared badly this time around. Amidst this severe phase of thrashing received by INR, the Reserve Bank of India (RBI) is trying its best to seal the dripping economic roof of India and its people by deciding to open a special window for helping the state owned oil companies like I.O.C (India Oil Corp Ltd), Bharat Petroleum and Hindustan Petroleum corp. This will enable the beneficiary to buy dollar through this window, till further notice is provided. But not forgetting that the companies together need 8.5 million dollars every month to import oil expecting to meet its requirements. 1. RBI can hold auctions for oil companies to buy bonds as the outstanding amount of their bonds are less. But sadly the government no longer issues bonds. 2. The government can evaluate the limits for foreign investments, but provided the parliament approves it. 3. Sovereign bonds may help raise dollar from overseas investors if the RBI is willing to take the risk during payment. 4. The RBI could also persuade Indian Banks and financial institutional area to raise their funds in dollar and lend them locally. 5. If the exporters convert their foreign earnings into rupee than it can temporarily aid in the declined rupee rate. In spite of all that has been said above, it will be foolish to write off the INR completely and say it shall not rise from the mire. Experts are saying that the government needs to take some short and medium term steps that will help the economy get back on its feet yet again. It is only through continued efforts that the Indian government will be able to retrieve the situation. However, it will take a Herculean effort to help the INR get back to the 55 mark. Very well written. Would be very easy even for a layman to understand. Keep writing.